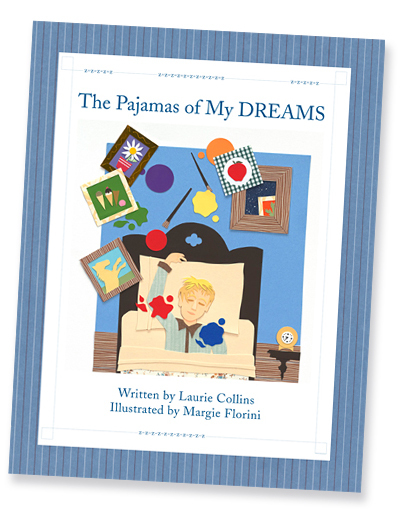 This book was inspired by my involvement with a Pajama Drive held each year by the nonprofit organization Cradles to Crayons. Cradles to Crayons provides local children in need with clothes, shoes, books and school supplies that they collect from the community and process in an incredibly organized fashion at their Giving Factory locations in Boston and Philadelphia. There is no lovelier point in the day for a caregiver than when they tuck a child into bed, read a story, give them a kiss and probably “just one more drink of water.” Then they watch them slip off into the world of their dreams. Cradles to Crayons helped me to realize that not all children have this privilege. My dream is that all children go to bed in snug pajamas, not hungry or cold, thus able to sing their own lullaby of a promising future as they fall off to sleep. SING ALONG to our new Pajamas Of My Dreams music video! LAURIE COLLINS READS TO children and helps them choose just the right books to take home in her job as a librarian. Reading to her own two sons, Christopher and Benjamin, when they were growing up was her favorite parenting pastime. She wishes that all children can go to bed with full bellies and warm pajamas and dream sweet dreams of their futures. She lives north of Boston with her husband, and a remarkable cat and zany dog adopted from rescue organizations. MARGIE FLORINI IS GRATEFUL for unique opportunities that have made it possible for her to become an award-winning artist and illustrator. In The Pajamas of My Dreams, she worked in cut–paper collage, piecing papers side–by–side (like a jigsaw puzzle) or by layering them for a more 3–D effect, to best express this sensitive story. You can read more about her decision to use cut–paper here. She lives and works on Boston’s North Shore with her dear husband and sweet puppy. To see more of Florini’s work, visit her website. Learn about the story behind the book. Purchase "The Pajamas of My DREAMS"